The Pentagon’s investigative arm has started to examine the matter involving Ronny L. Jackson, the Navy rear admiral whose nomination to lead the Department of Veterans Affairs collapsed last week amid allegations he mistreated White House medical staffers and improperly dispensed medications, among other accusations. From there, “The Inspector General’s office will determine what investigations or actions are warranted regarding these allegations and complaints,” Crosson said. Jackson, who has served as White House physician under three administrations, has vehemently denied wrongdoing. A White House official said Sunday that he would remain with the medical unit there but that he would not return to his role as Trump’s physician.A White House spokesman later seemed to walk that back. Jackson withdrew his nomination to lead VA last week under a firestorm that erupted when Sen. Jon Tester (Mont. 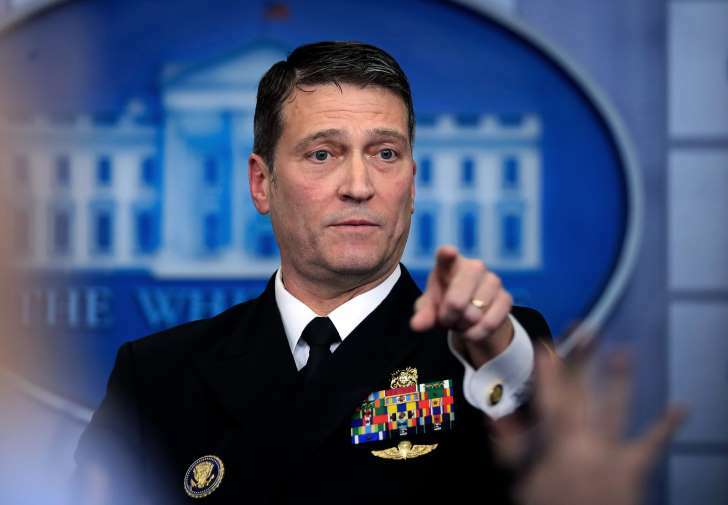 ), the ranking Democrat on the Senate Committee on Veterans’ Affairs, disclosed the wide-ranging allegations Jackson’s colleagues brought to the panel. Tester’s staff has not provided documentation substantiating the most explosive allegations, including the claim that Jackson wrecked a government vehicle while intoxicated, though the senator’s aides have said that at least two people backed up each of the accusations. Trump has called on Tester, who is up for reelection this year in a state the president won by more than 20 points in 2016, to resign over his role in sinking Jackson’s VA nomination. A spokeswoman for the committee did not return a request seeking clarity on the status of Jackson’s promotion.